Here's my story, as I was making space recently and wished to avoid eSATA, USB 2.0, and LAN, figuring $29 to give USB 3.0 a try would be a good idea to evacuate/backup some data from my older WHSv1 system. I don't like eSATA for drive removal and cabling reasons. USB 3.0 should be similar enough in speed, and handle graceful ejection of external drive sleds. Well, that was the idea anyway, turns out USB 3.0 has been pretty flakey on Windows 2003 (which is what WHSv1 really is), and on Windows 7 x64. 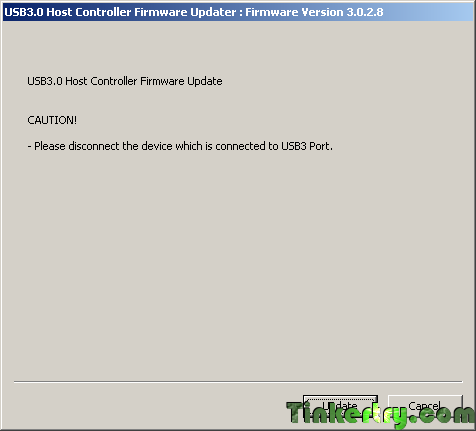 This firmware which was explained in detail here, coupled with this NEC/Renesas USB 3.0 Host Controller Driver v.2.1.19.0, seems to be going well, worked quite nicely for a large overnight copy last night. Next, download Robocopy (part of a Resource Kit install), and optionally, the Robocopy GUI if you prefer a GUI front end. When it was done, I could look through the D:\ROBOCOPYLOG.TXT to see what happened overnight. Now, shows 3028, firmware upgrade complete. That's it, ready for stable USB 3.0! How to copy or move files and folders whilst maintaining their original time date stamp.